Jeroen Delmee's side has exhibited by their remarkable show at Bhubaneswar that the intensely-competitive European hockey circuit has the potential to produce world-beating units that are fast closing the gap with the best teams in the world and raising the standards of the game ever so rapidly. The warning signs were there for all to see when France troubled the New Zealand Black Sticks no end in their opener, going down by a narrow 1-2 margin, before putting on an even better show by holding Spain to a 1-1 draw in the 2018 Hockey World Cup. 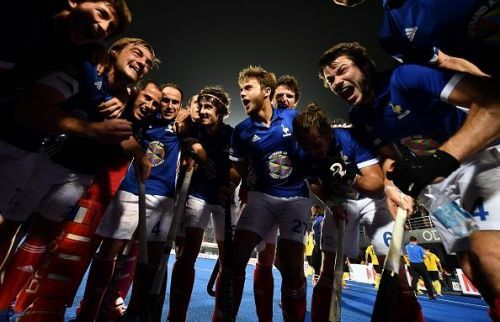 The French were then at their absolute peak against Olympic champions Argentina, as they stunned the South Americans with their aggression up front and earned a historic and creditable 5-3 win. Quite understandably, Delmee's team adopted a slightly more cautious approach in their first knockout game against a Chinese side which refused to be drawn forward and seemed intent on maintaining their structure at the back even after Timothee Clement had fired the minnows ahead midway through the third quarter. Kim Sang-Ryul's boys who started with a bang by holding the English and the Irish before being mauled by World Champions Australia seemed to lack the counterattacking flair which they had earlier displayed and managed just 11 circle entries while the French notched up three times that number and dominated the proceedings. We take a look at the performance of three individuals whose contribution was immense and consistent throughout the entire duration of the match. The French attacked the Chinese goal predominantly and consistently from the left flank getting past Kim's midfield with a combination of speed and skill that stretched China's defensive unit to the limit. Charles Masson kept up the attacks tirelessly and refused to relent even when the initial forays failed to produce the desired results. The 26-year-old was instrumental in creating several chances for his side which also meant that the Chinese had to defend in numbers for pretty much the entire duration of the match. The remarkable weaving skills which split open the Chinese defence time and again will no doubt have been noticed by Colin Batch's World Champions who will surely keep a close eye on Masson, Victor Lockwood, and Timothee Clement in Wednesday's quarterfinal.